Scientists reveal that human fights in the past affects the skull and face today. The human faces are now a product of evolution, or adaptation in order to be stronger men take a hit, not easily injured when fighting. David Carrier, a biologist from the University of Utah and colleagues, revealed it in his research publication in the Biological Reviews journal. 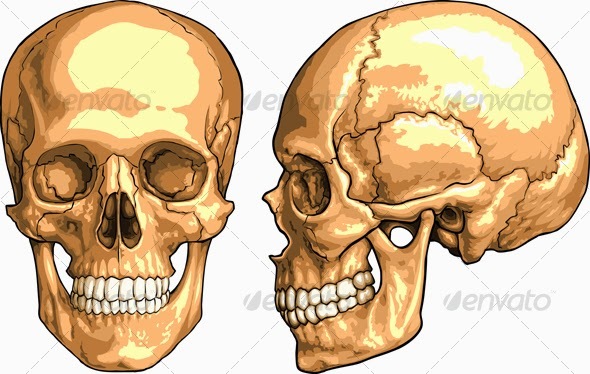 Human skull and facial bones are known to have differences with other primates face, such as the jawbone and forehead thicker. Previously, many scientists suspect that these traits evolved because people often eat hard foods, such as nuts. However, in his research, Carrier said that it is more related to the characteristics of the activity of human fights. Carrier said that the fight makes the proportion of the human hand evolved to adapt to the activity of a fight. He explained that when the human hand evolved to fight, then the face, too. "When men fight with hands, face usually is the main target," he said as quoted from the Daily Mail on Monday, June 9, 2014. "What we found, bone fractures are the most vulnerable part of the skull that showed the greatest increase in strength," he added.